Set the perfect mood with umbrella lighting. Umbrella lights do not attract most insects and are easy to install. Some are battery operated and others require an electrical outlet. Lights attach onto the ribs of the inside of the umbrella. Single-bulb varieties strap onto the umbrella’s pole. It’s no wonder that this type of lighting has become one of the most popular types of accessories. Don’t let annoying insects keep you from enjoying time outside! Umbrella netting offers protection from mosquitoes, biting flies and other summertime pests. Netting is easily adjustable and features simple installation. This simple accessory is a necessity for backyard entertaining! An alternative to netting is to enclose an entire deck or patio with netting. Screen enclosures protect a large area from insects. They also provide protection from the sun and rain. These handy, portable devices are easy to put up and take down, a must for picnics or other outdoor events. Appropriate hanging gear is important to ensure optimal stability for your umbrella. Sturdy bases and poles are needed to properly support an umbrella. Free-standing bases are generally weighted down with cement blocks or other heavy objects. Permanent bases are cemented into the ground. Wall-mounted umbrellas are also available. Poles are made of heavy duty materials such as aluminum and wood. The type of pole used will depend on factors such as aesthetics and umbrella size. Put a stop to poorly lit patios and biting insects! Protect your umbrella from the elements with a cover. 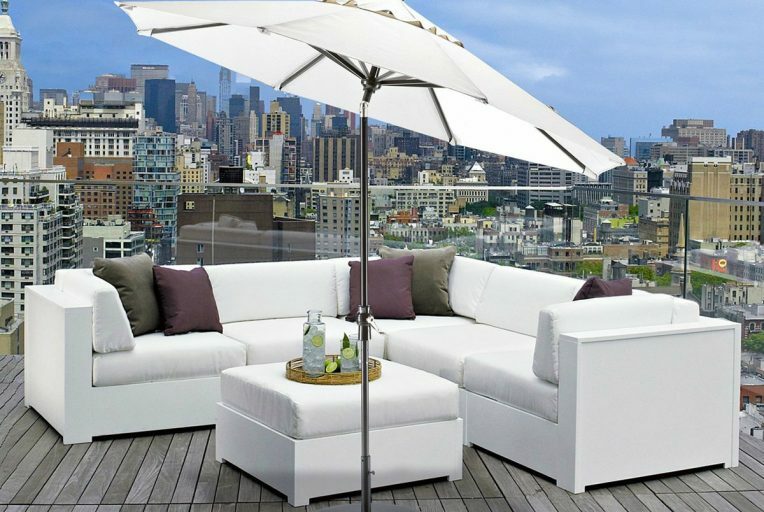 Creating a relaxing outdoor retreat has never been easier with the right umbrella accessories. Fun and colorful umbrellas make outdoor furniture ensembles complete. Properly securing the umbrellas is an important safety precaution. This will protect them and help prevent them from falling. Stands will provide the anchor and support that umbrellas need. They are not only functional, they’re also attractive decorative accents. 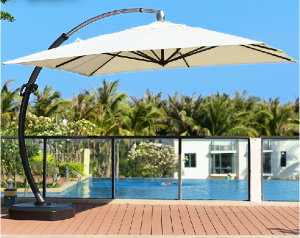 Stands are available in several durable materials and a variety of styles to fit most outdoor umbrellas. Stands are heavily weighted at the base, but some require mounting to a deck or concrete. They are generally made of steel or cast-iron, but some are also constructed of heavy-duty plastic. When choosing a stand, consider local weather patterns. If there is a tendency for strong winds, a very heavy or mounted stand might be the best choice.